The legend you know... The story you don’t. 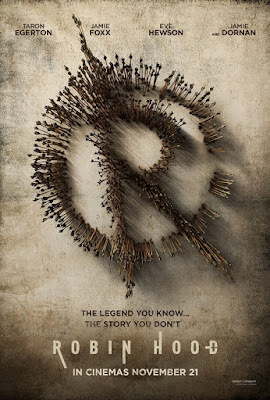 We are pleased to share with you the new trailer and poster for Robin Hood which is released in cinemas November 21. The film is directed by Otto Bathurst (Peaky Blinders & Black Mirror) and stars Taron Egerton, Jamie Foxx, Ben Mendelsohn, Eve Hewson, Tim Minchin and Jamie Dornan.